This guide is designed to direct you to some of our better resources for working on assignments for your Virology class. This is a database with clinical medicine focus (similar content to PubMed, but better indexing features, and available full text content) . TIP: Browse in the MeSH subject heading list for your virus, disease, or topic. Use the ‘advanced search’ feature and limit 'Source' to 'Subscribed Sources' to limit to materials for which full text is present in the database. This database contains more than 830 full-text journals covering relevant aspects of a variety of scientific topics. Academic Search Complete is a multi-disciplinary database, with more than 6,100 full-text periodicals, including more than 5,100 peer-reviewed journals. In addition to full text, this database offers indexing and abstracts for more than 10,100 journals and a total of 10,600 publications including monographs, reports, conference proceedings, etc. The database is updated daily and features PDF content going back as far as 1887, with the majority of full-text titles in native (searchable) PDF format. Searchable cited references are provided for nearly 1,000 journals. From the American Society for Microbiology. Some issues available as open access from the publisher. Search this Open Access publisher for freely available journal content. List of journal titles with links to various electronic full text articles. Dates of holdings are included. Use to find electronic content if you have a citation to a journal article. Clearinghouse for virology websites. WARNING: many of the sites have not been updated recently and many links are broken, but there are some good taxonomy tools and pictures included. Use at your own risk! Click on the PDF link below to view and/or print a handout on finding full text articles. Encyclopedia of Virology, Third Edition ...source of current research in virology. ... covers biological, molecular, and medical topics concerning viruses in animals, plants, bacteria and insects. 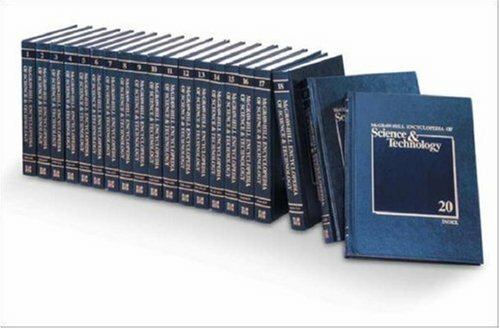 This web version of McGraw-Hill's authoritative, print multi-volume counterpart includes: McGraw Hill Dictionary of Scientific & Technical Terms, weekly news articles, research updates, comprehensive & current science biographies, study guides, & web sites. Includes a variety of reference sources. Links within CREDO allow the user to access "Oxford Reference Online", "GALE Reference", and the Lewis Library Catalog. Useful for biography of scientists, but also goes in to details about their work. Click on the blue links to see the content of the selected e-books below. Others can be accessed through the Library catalog. Discusses viruses in the context of virus families. A state-of-the-art account of recent advances in the experimental analysis and modeling of structure, function and dynamics of viruses. These two volumes (in one) provide upper-level undergraduates, graduate students, and medical students with a state-of-the-art introduction to all aspects of virology. Includes chapters on "Viruses" and "Emerging Viruses"
An Atlas of the Clinical Microbiology of Infectious Diseases, Volume Two: Viral, Fungal, and Parasitic Agents is the second of a series and partner to Volume One, which deals with Microbiological and Clinical Attributes. Filled with highly instructional visual images, this atlas covers typical and atypical presentations of viral, fungal and parasitic agents and offers insightful comments aiding their identification and clinical significance. Also available online as an electronic reference source. Use the link below to access. For clinical medicine information. Includes some information about causative organisms, diagnosis, and treatment. A newer version of this reference source is available online. You can access it using the link below.